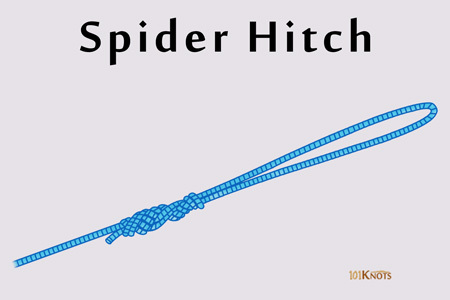 The spider hitch quickly forms a double line or a loop in the line for light tackle fishing. It is easier and faster to tie than the Bimini twist but lacks the latter’s shock absorption capacity. It is also not as durable and effective on small diameter lines like braided lines as the latter. For mono lines, both have almost the same breaking strengths. 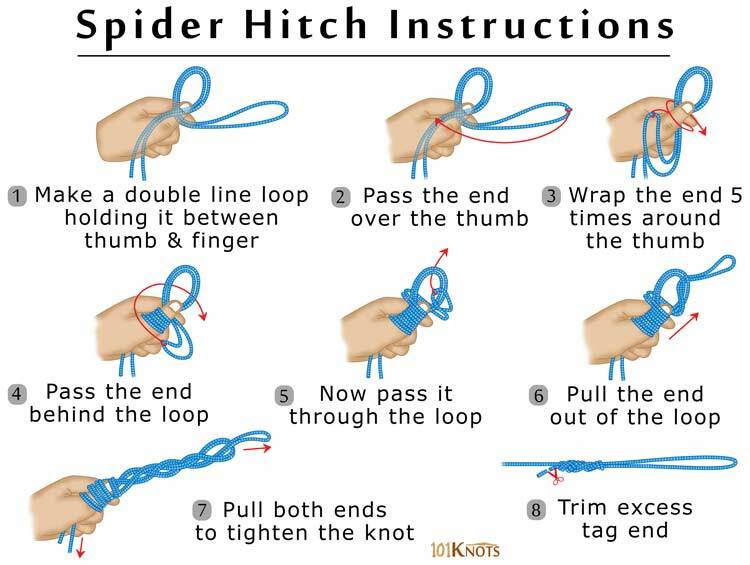 The Bristol or no name knot is sometimes used to join a heavier leader to the double line of the spider hitch. When tying on a braided line, wrap 15 times in step 2. In step 6, moisten with saliva before pulling for a tight knot. Joins a mono leader to braid. For shore fishing over irregular ground, connects a rubbing leader/ shockleader to a mono mainline. Provides an option to join the doubled mainline directly to the link or swivel if you are fishing leader-less. Bimini twist – Superior. Fares better on heavy tackle applications. Surgeon’s loop – Of similar strength.